Early this year Bert "Lee" Morgan and Dr. Patricia Morgan created a television series that will be televised on cable access on Fairfax Public Access. In February 2017 the first of the series has been shown, with multiple shows, once a month. The show consists of Dr. Morgan and myself talking about all aspects of mental health, how to identify symptoms and where to find help. What is mental health. Mental health includes our emotional, psychological, and social well-being. It affects how we think, feel, and act. It also helps determine how we handle stress, relate to others, and make choices. Mental health is important at every stage of life, from childhood and adolescence through adulthood. Over the course of your life, if you experience mental health problems, your thinking, mood, and behavior could be affected. Many factors contribute to mental health problems, including, biological factors, such as genes or brain chemistry, life experiences, such as trauma or abuse, and family history of mental health problems. 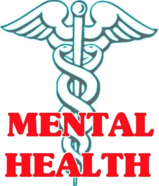 Mental health problems are common but help is available. We invite you to check with us often to find out when the next showing will be telecast. For those who can not see the various programs in the series, a link to youtube will also be available and as they say in television, "stay tuned." 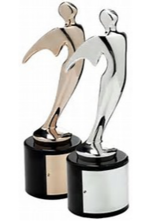 BLM Productions is proud to announce Spotlight on Mental Health has won this years Silver Telly Award. 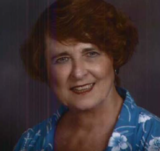 Myself and Dr. Patricia Morgan want to wish all of our viewers good mental health. Always know, help is available. Never hesitate to seek that help.